Pears are ripe in the Willamette Valley so I headed out to Deterings Orchard this weekend to pick apples and pears. 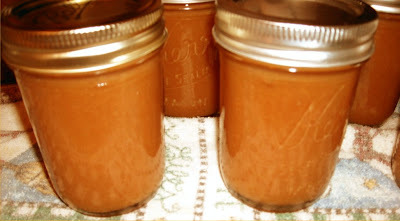 Some pears were made into pear butter and canned. And a few lucky pears went into a cake experiment. Can you see the difference? No? how about a side by side comparison? The slice on the left is made with butter. The slice on the right is made with pear sauce as a lower fat alternative and to pump up the pear flavor. I like them both. The one with butter is more cake like.... softer tighter crumb and a little moister. The one with pear sauce has a stronger pear flavor and is heartier like a dense sweet bread. ( I may have over developed the gluten) Both have cinnamon and cardamom and both are disappearing rapidly as I perform my taste tests! 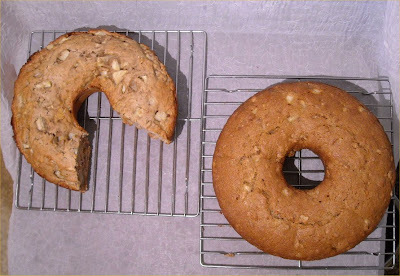 This recipe comes from Nancy McDermott"s book"Southern Cakes". Preheat oven to 350 F and lightly grease and flour a 10 inch tube pan or two 9 by 5 inch long pans. Quickly scrape the batter into the prepared pans, and bake at 350 F for 60 to 70 minutes. (Both or mine were done at a bout 45 minutes so check a little early) or until the bread is handsomely browned and firm on top, and a wooden skewer inserted in the center comes our clean. 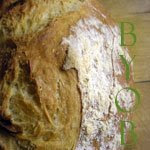 Cool the bread in the pan on a wire rack or folded kitchen towel for 10 minutes. Then turn it out onto a plate or wire rack to cool completely, top side up. 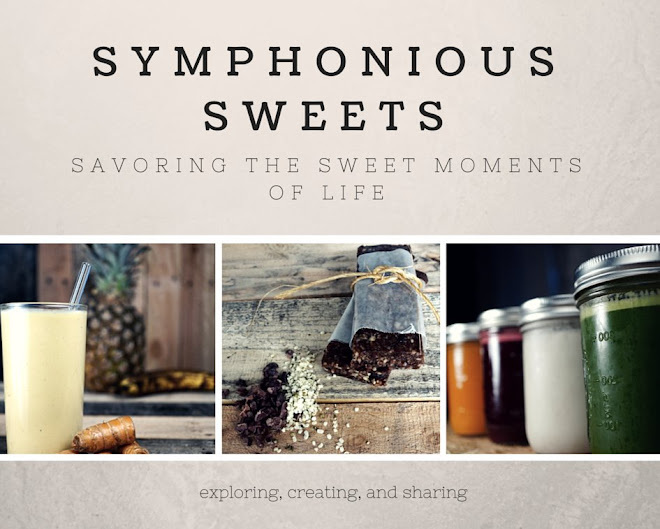 Serve as is or sprinkle with confectioners sugar. Additional notes: I found this batter to be really thick and a little dry when I followed the directions to add the wet mixture to the dry and mix. Maybe my pears were not as juicy? This bread is really delicious and could easily overthrow Banana as the top fruit quick bread! Keep an eye on your pear bread about half an hour into the baking time. Both times my cake was "handsomely browned" way before the suggested 60 to 70 minutes. Hee hee "Handsome"! Hey there Handsome! Smile for the camera! This bread makes me realize Fall is really here! Thanks for sharing your recipe, it seems very delightful. I'll definitely try this at home. This looks fantastic! 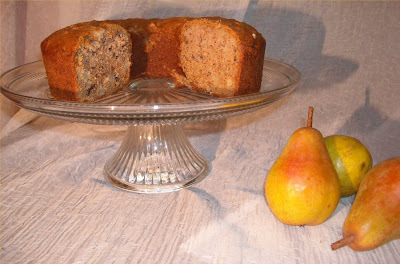 I always make pumpkin or banana bread this time of year, but pear would be such a wonderful change. Thanks for posting!